Are tobacco manufacturers using new flavors to target minors? Home 2018 March 5 Are tobacco manufacturers using new flavors to target minors? Tobacco use has a long history in the U.S. But by the 1960s doctors and scientists have conclusively established that smoking cigarettes poses serious health risks such as heart disease and cancer. Despite the risks, millions of people in the United States continue to smoke, and more start every year. In 2003 Chinese pharmacist Hon Lik invented the modern electronic cigarette, or “e-cigarette.” E-cigarettes have been touted as a safer alternative to smoking as well as a tool to assist with quitting smoking cigarettes. However, many doctors express concern that e-cigarettes have not yet been proven safe in peer-reviewed research and may pose other, as-yet unknown health effects. 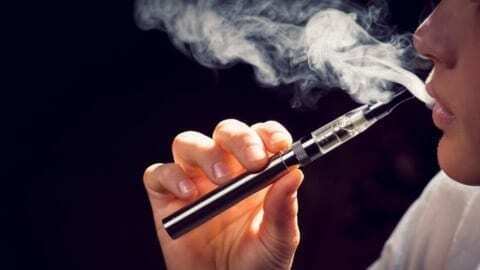 Additionally, public health officials have expressed concerns that the fruit- and candy-flavored e-juices often used in e-cigarettes may appeal to adolescents and serve as a gateway to traditional cigarettes and other tobacco products. Since the introduction of e-cigarettes into the U.S. market in 2009, they have grown exponentially in popularity and sales, to the tune of $1.7 billion. Legions of lifelong users have converted to vaping, trading the tar and carcinogens of cigarettes for the seemingly safer alternative. Electronic cigarettes, or e-cigarettes, are battery-powered devices that provide doses of nicotine and other additives to the user in an aerosol. Depending on the brand, e-cigarette cartridges typically contain nicotine, a component to produce the aerosol, and flavorings (e.g., fruit, mint, or chocolate). Potentially harmful constituents also have been documented in some e-cigarette cartridges, including irritants, genotoxins, and animal carcinogens. Whether e-cigarettes can safely help people quit smoking is also unknown, but with their fruit and candy flavors, they have a clear potential to entice new smokers. Currently, no federal or state law governs the sale of e-cigarettes. A bill in the state Senate would restrict the sale of the devices to people 18 and older. But with such an aforementioned variety of flavors in e-cigarettes, health experts, substance abuse prevention officials and lawmakers are increasingly concerned that e-cigarette manufacturers are targeting teens. “They are adding all these interesting flavors and they are pandering to people who are nonsmokers or more specifically kids,” said Dr. Richard Bell, a Berks County pulmonologist and a member of the Pennsylvania Medical Society. “I’m not sure an adult would be attracted to a bubblegum flavor cigarette.” Bell voices his concerns about e-cigarettes in the public health community by explaining that Big Tobacco is increasingly marketing the electronic devices to minors. They are doing this by using many of the same promotional techniques it used to hook previous generations to cigarettes. Their techniques include using television ads, magazine ads, sports sponsorships, and cartoon characters. Are tobacco manufacturers using new flavors to target minors? by Johan is licensed under a Creative Commons Attribution-ShareAlike 4.0 International License. This is a very interesting post. It is somewhat frightening to think that big corporations would be targeting a younger demographic in the sale of potentially harmful e-cigarettes. Do you know if this is factual? I wonder if the multitude of flavors is just another way that these e-cigarette companies help smokers quit by offering a better tasting alternative to cigarettes. Also do you know why the advertisements you mentioned have not be shown in Utah?